Create your own spooky Halloween display! If you want to get creative this halloween, why not try creating your own halloween light show? It's not as hard as you think and we can provide you with all the advice and equipment you need to create your own computerised halloween lightshow. If you aren't looking to build an advanced animated display powered by lots of controllers and you just want some lights, check the reccommended products at the bottom of the page. 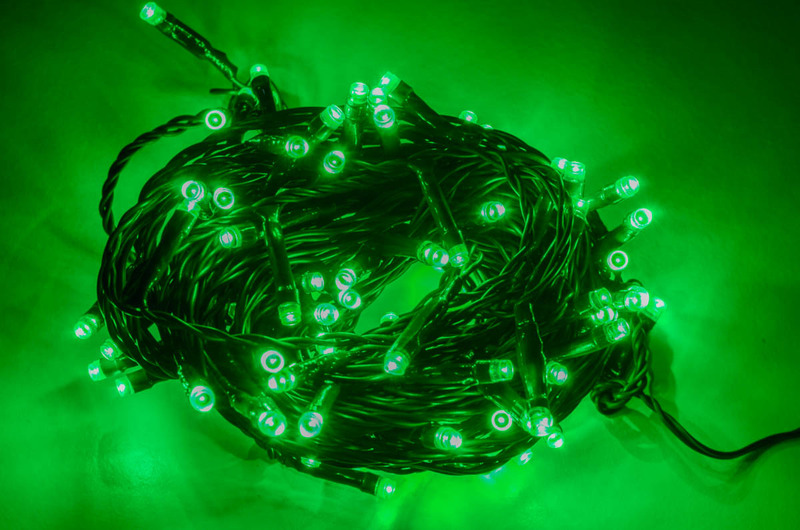 All our LED and strobe lighting is suitable for use in both traditional static display as well as computer controlled, musical lightshows. Creating a display - Need some inspiration? If you're new to lightshows and you're not sure what to do dont worry, we stock many products that you can use for many different events all year round. We can also provide you with the software needed to animate your lights to your favourite music. Below you will find we have listed a few Halloween ideas to help get you started. 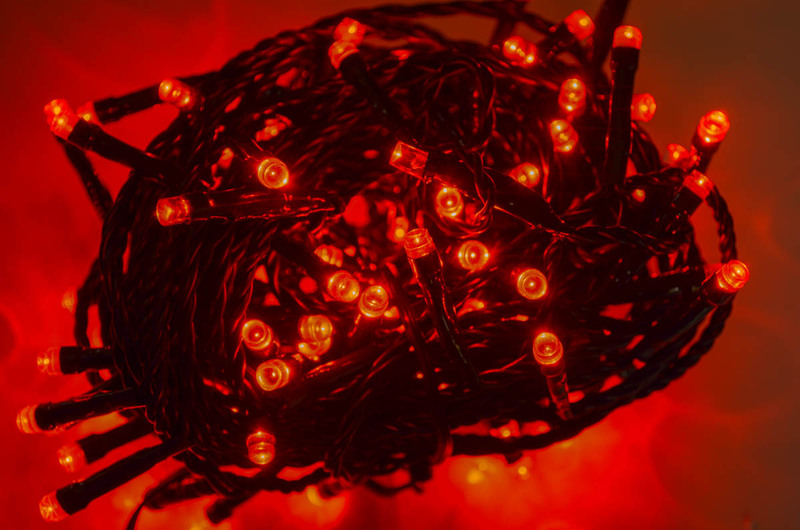 Decorate your house or garden with Red or Green lights to create a spooky glow. 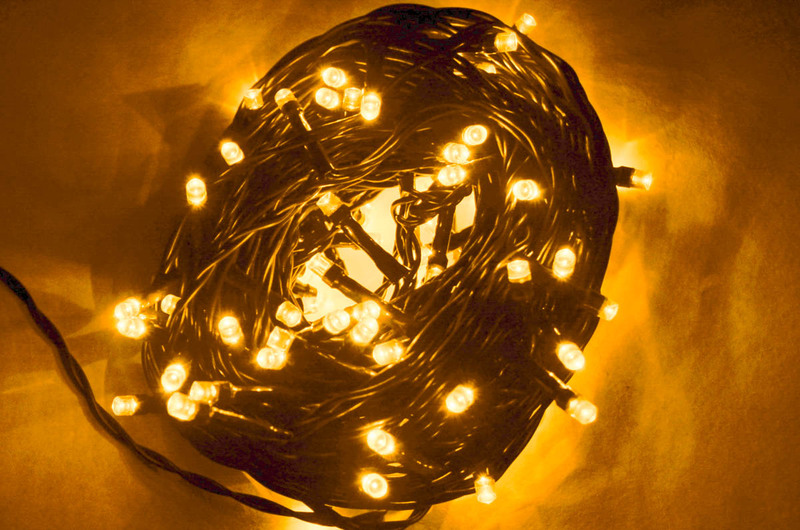 You can use any of these lights with our controllers to achieve eerie effects! Create a patch of singing pumpkins! (See Fig.1). To make these simply carve out several pumpkins and add a light to each one. 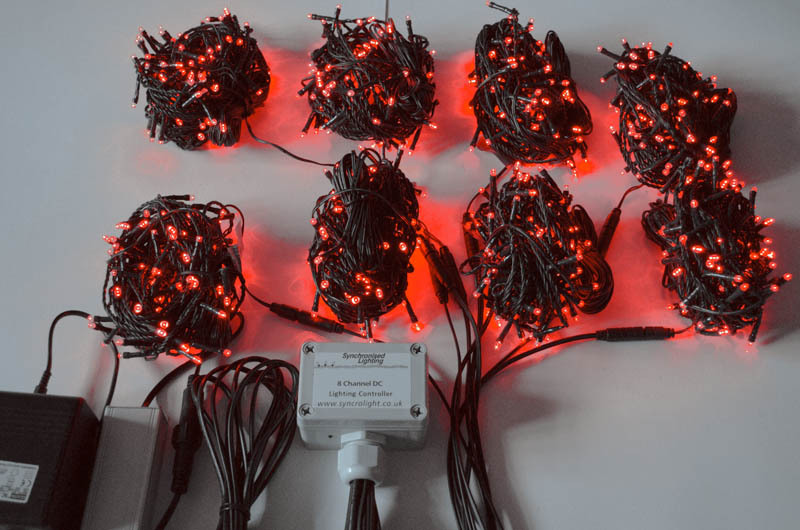 You can control these lights individually by connecting your lights to one of our 8 channel DC controllers. Use strobe lighting along with our controllers and software to create your own thunder and lighting effects! This is especially useful at Halloween and adds atmosphere and excitement to a themed light show. Make a pumpkin face (See Fig.2) from LED lights or by using one of our animation packs. You can then sync it to music with our 8 channel DC controller and software. This is not actually very difficult to achieve although it does require some patience, but the results are very impressive! Check out the video on this page and have a look at the sample show "Pumpkin" (See Fig.3) that is included free with our lightshow designer software. Add a smoke machine to create atmosphere. To create a musical halloween lightshow, select your favourite halloween music, load it into our software and then begin composing your lightshow. For small displays our software is free to download and use. See the software page for more details.